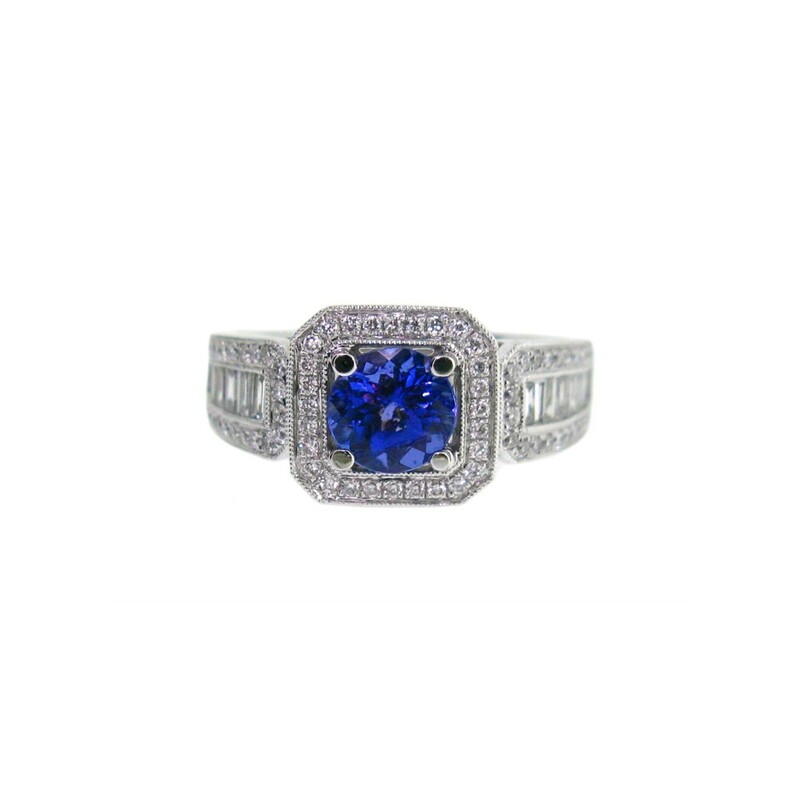 An 18k white gold tanzanite dress ring. 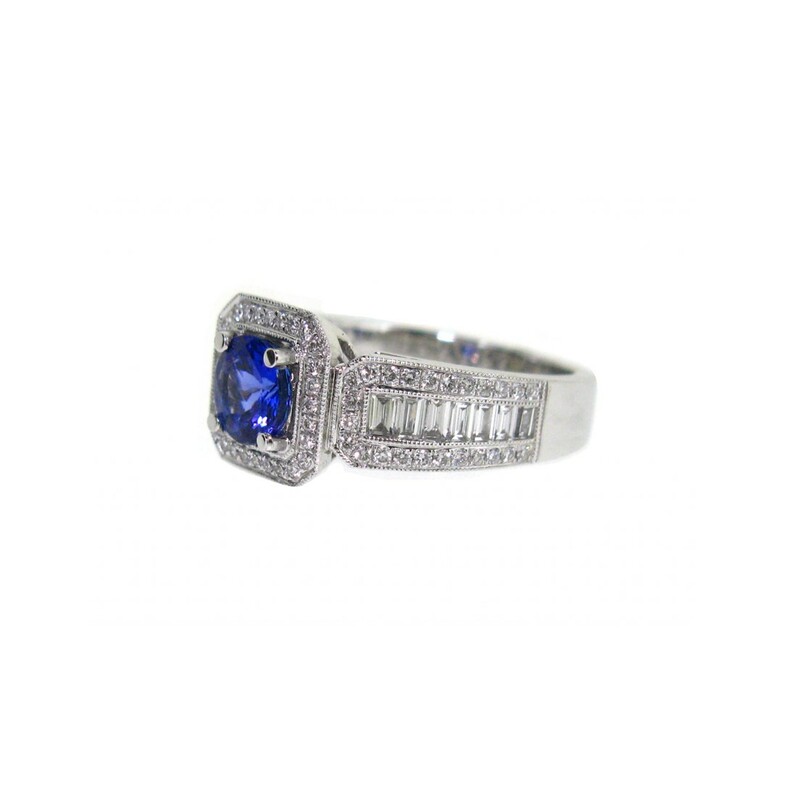 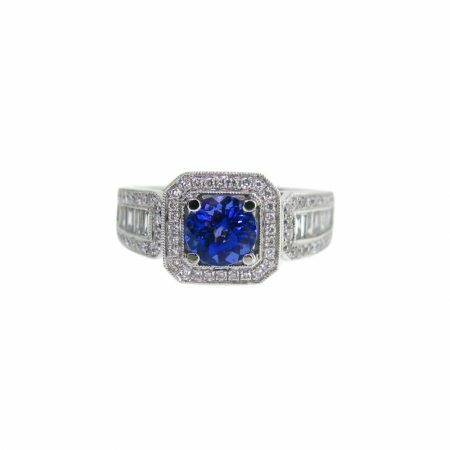 Centrally set with a round natural tanzanite, which is surrounded by a bead set diamond halo. The ring has a wide band which is channel set with baguette cut diamonds and bead set with round brilliant cut diamonds.